Based in the state of Massachusetts, Gosnold, Inc. is an organization dedicated to providing comprehensive substance abuse and mental health treatment services to youths, adults, and their families. The organization has been in service for more than four decades and was originally known as the Cape Cod Alcoholism Intervention and Rehabilitation Unit. The organization incorporates the “Gosnold Way”—an individualized, empathic approach to treatment—into all of its operations. Gosnold, Inc. provides myriad of services at various locations around Massachusetts consisting of the Gosnold Treatment Center at Falmouth, the Emerson House for women and the Miller House for men. The Emerson House also caters to pregnant and post-partum adult women in need of treatment. A wide range of treatment options is provided by the organization and some of these include gender-specific residential rehabilitation, recovery management, Intensive Outpatient, and sober living programs. The organization offers outpatient clinics at Centerville, North Dartmouth, and other locations. In 2016, a Partial Hospitalization Program for adults dealing with substance abuse and co-occurring disorders was added to the list of services provided by the company. A short-term medical detox and stabilization process takes place at the Gosnold Treatment Center. Additionally, the organization offers Medication-Assisted Treatment and medication management services. For families in need of support, education, and intervention the organization’s Family Support program is a right fit. Clients usually have designated treatment teams consisting of psychiatrists, addiction counselors, and recovery managers. The Gosnold at Cataumet center is a residential rehabilitation facility capable of accommodating up to 40 persons. The Miller House, located in a Victorian Manor, is the organization’s treatment location for men while the Emerson House is a cottage for mothers with infants and pregnant women. Though there are private rooms available at Gosnold at Cataumet, clients normally share a bedroom with one other individual. The rooms have private bathrooms, modest furnishing, and twin beds. The housing also offers separate gender-specific wings. Residents are advised to bring comfortable, casual, and appropriate clothes enough to last their stay. Laundry services are available on-site. Personal electronic devices such as mobile phones are allowed at the discretion of the center. Snacks, alcohol-containing products, and weapons of any kind are prohibited at the facility. Clients also have access to the local gym. Meals, prepared by a chef to be nutritious and healthy, are served thrice daily in the dining room. The facility’s detox and stabilization program is a 50-bed unit located at the Gosnold Treatment Center. The program lasts between 4-8 days and clients receive medically supervised withdrawal treatment to avert complications and reduce discomfort. The center offers personalized treatment plans tailored to meet the precise needs of each patient. This program is overseen by various experienced professionals consisting of counselors, recovery specialists, and nursing and clinical supervisors. This program also offers weekly education classes for families. The Partial Hospitalization Program for adults focuses on patients dealing with mental health and co-occurring disorders. Patients receive goal-oriented treatment in a less restrictive environment and receive various forms of evidence-based therapies. The program runs from Monday through Friday. The Intensive Outpatient Program is designed for adults dealing with mental health problems. The program allows clients to return to obligations such as work or school while still receiving treatment services. The program may last for about 1-3 weeks. Gosnold on Cape Cod costs approximately $18,000 for a 30-day treatment program but this amount is subject to change as it is greatly dependent on the treatment program a client is registered into. The facility is in-network with most insurance providers and is willing to work with out-of-network providers as well. Clients are encouraged to contact the facility for more information about coverage and benefits. Insurance providers accepted include Aetna, Cigna, Blue Cross Blue Shield, United Behavioral Health, Harvard Pilgrim Healthcare, and many more. The facility offers recreational therapies which include an exercise room that is fully equipped with quality amenities which include treadmills, elliptical machines, and many more. Other amenities offered include a horseshoe pit, a basketball court, and even yoga. The facility has earned multiple awards during its forty year tenure from the state of Massachusetts Associations Association for Behavioral Health. In entirety, the facility offers well-rounded and comprehensive programs in a nature-like vacation-type setting that makes the treatment process feel like a retreat. Clients seeking treatment at a facility which creates a serene atmosphere with multiple options for individuals will find Gosnold to be a good choice. Richard holds a Bachelor’s degree from Westfield State University and a Master’s degree from Boston College in Social Work as well. Prior to joining the facility, he served in different capacities at different organizations including Behavioral Medicine where he served as the Executive Director and Cape Cod where he served as Executive Director before holding the position of Chief Executive Director. Beth has over 25 years of experience in the behavioral health sector and has worked in different settings. Prior to holding the position at the facility, she served in different capacities in different organizations including Youth Opportunities Upheld where she served as CEO, Fellowship Health Resources Inc. where she served as Chief Operating Officer and Chief Strategic Officer, and many more. Allie holds a Bachelor’s degree from Bates College majoring in Social Work and a Master’s degree in the same course from Boston College. She has over 15 years of experience working in the behavioral health and dual diagnosis sector. She handles and manages outpatient services at the facility. 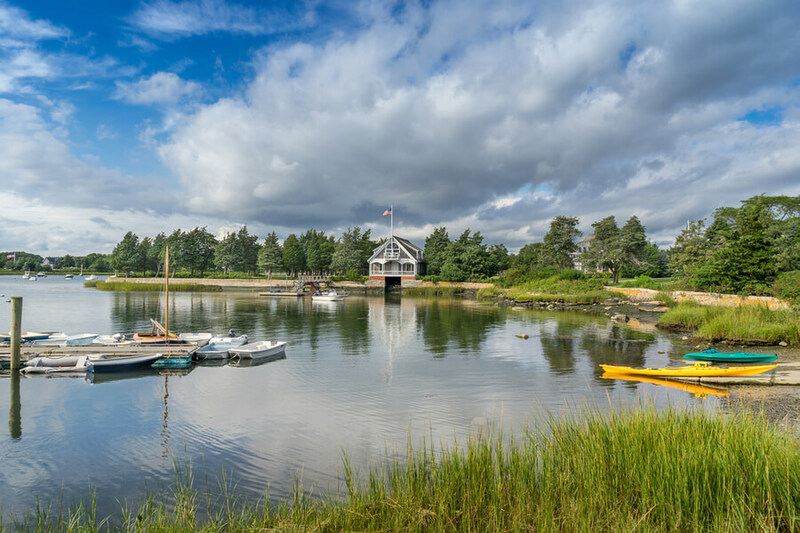 Addiction Resource » Drug and Alcohol Rehabilitation Centers » Massachusetts rehabs » Falmouth » Gosnold, Inc.